While the UK Labour party has frittered away a valuable year distracted by inflationary claims of anti-semitism and with Brexit, the Democratic Socialists in the US are driving on an intense debate concerning a Green New Deal (this should have happened in the UK, but the British class system has intervened). It is time to get Europe up to speed concerning the Green New Deal in view of climate change. An important aspect could well be Modern Monetary Theory (MMT). Where MMT is amazingly well known by a minority in Britain, as we invited Warren Mosler to speak in Berlin on the topic in May, we realised that maybe 10 or 20 people in this city of 3.5 million inhabitants know anything about it. This is probably true for the rest of Europe as well. Michael Roberts is not a disciple of MMT, but a Marxist. He however is very clear and fair in his criticism. This is the sort of discussion we like to support and share. So please feel daring and read this on the weekend. 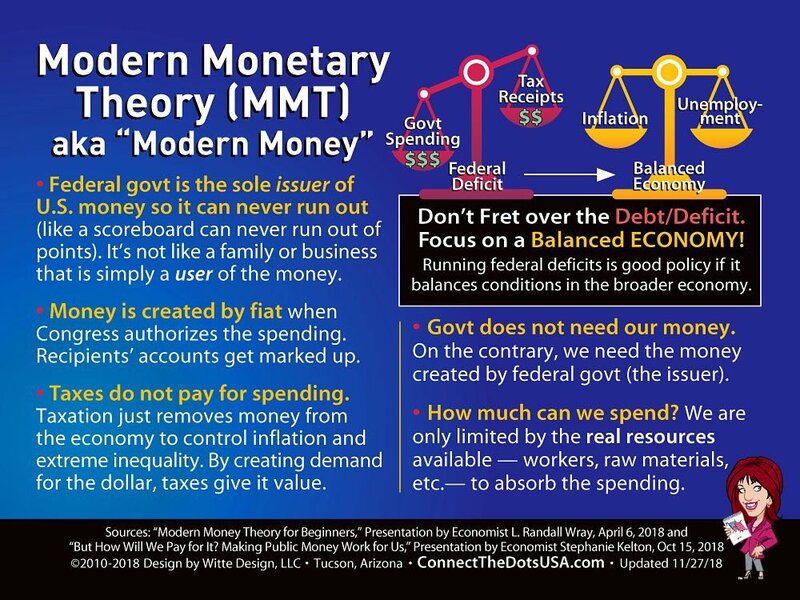 It seems now very opportune that I recently posted three times on my blog my views on Modern Monetary Theory (MMT), an increasingly attractive theory for the left to justify government spending to meet the ‘needs of the many’. For just this week, left Democrats in the US Congress, led by the rising star Alexandria Ocasio-Cortez (AOC), a member of Democratic Socialists of America, launched what they call the Green New Deal (GND), an alternative programme for a future US government to adopt to provide proper public services in education and health and to deal with global warming and environmental pollution. And the GND and AOC make clear that funding for these badly needed government programmes can be achieved if we follow the policy conclusions of MMT. The GND is a welcome attempt to reset the agenda for economic and social policy in favour of labour in America, for the first time since the New Deal of the 1930s. The GND wants to establish a national health service free to all at the point of use, as exists in most of Western Europe and other advanced capitalist economies. It wants to introduce free college education and end the heavy burden of student loans placed on working-class people; and it wants to create jobs at decent wages for environmentally sound projects through government investment. Such a programme may be modest and it will bet bitterly opposed by American capital. So the GND involves a federal job guarantee, the right to unionize, action against free trade and monopolies, and universal housing and health care. In Europe and other advanced capitalist economies, these aspirations are not so radical(although in the neoliberal world, they are increasingly so), but in Trump’s America, where corporate interests are paramount and the main enemy is now ‘socialism’, the GND programme is an anathema. But it is not just Trump and Wall Street who have thrown up their hands in horror at the GND proposals. Some orthodox Keynesians have wrung their hands. Noah Smith, the Keynesian economics blogger and Bloomberg columnist, let out a howl of anguish because he reckoned that GND, as promoted by AOC,”definitely seems to include: 1) universal health care paid for by MMT; 2) trillions of dollars in infrastructure spending paid for by MMT; 3) economic security for those “unwilling to work”, paid for by MMT and makes clear that it will ultimately rely on deficits to pay for the Green New Deal. As justification, it points to the basic ideas of MMT.” Smith is horrified by this because he considers the ‘nonsense’ of MMT will completely undermine the objectives of the GND. He wants the Democrat lefts to decide between work-based policies and redistributive policies. It does seem that AOC and other promoters of the GND programme think that MMT can justify and explain where the money is going to come from to pay for all the aspirations and necessary public investment. For example, leading MMTer, Stephanie Kelton was asked: “ Can we afford a #GreenNewDeal? She replied: Yes. The federal government can afford to buy whatever is for sale in its own currency.” So there it is. The financing of the GND will apparently be achieved by government spending the necessary money, which it gets by running deficits and ‘printing’ whatever amount of currency required. Other means of revenue, like taxes, come later (if at all), and issuing government bonds for households or financial institutions to buy is not needed. What is wrong with this? Well, I have argued in previous posts that MMT is a novel ‘trick of circulation’ (Marx) that ignores the whole circuit of money that goes from money through capital investment into production for profit and more money. The MMT argues that we can just start with the state printing money and then all will flow from that – more investment, more production, more incomes, more employment – as though the social relations of capitalism were irrelevant. MMT will deliver full employment at decent wages, healthcare, education and other public services without interfering with the big banks, the multi-nationals, big pharma and Wall Street. You see, because the state controls the money (the dollar), then it is all powerful over the likes of Goldman Sachs, Bank America, Boeing, Caterpillar, Amazon, WalMart etc. Therein lies the danger of MMT as the theoretical and policy support for government spending and running deficits. Actually, it is not necessary to adopt MMT to deliver the GND programme. There are many ways to meet the bill. First, there is the redistribution of existing federal and state spending in the US. Military and defense spending in the US is nearly $700bn a year, or around 3.5% of current US GDP. If this was diverted into civil investment projects for climate change and the environment, and those working in the armaments sector used their skills for such projects, then it would go a long way to meeting GND aspirations. Of course, such a switch would incur the wrath of the military, financial and indsustrial complex and could not be implemented without curbing their political power. Then there is the redistribution of income and wealth through progressive taxation to raise revenues for extra public spending on the needs of the many. The Trump administration has made huge cuts in the tax burden for the very rich and the big corporations; and it has encouraged and allowed the salting away of profits into tax havens around the world equivalent to 1-3% of US GDP. So the proposal by AOC and others to raise the top income tax rate to 70%, along with the idea of Elizabeth Warren to apply a wealth tax on the assets of the very rich, is another direction to go. The latter could raise up to $275bn a year. Of course, these measures would only scratch at the surface of the grotesque income and wealth inequality in America. Tax inequality expert Gabriel Zucman reckons that the Warren wealth tax would raise the total effective burden at the very top of the distribution from 3.2% of net worth to only 4.3%. This tax obligation would still be lower than the average burden of 7.2% of net worth paid by most other Americans. The problem is that is the already high level of inequality in wealth and income before taxation: the US and the UK have highest degree of inequality in the advanced economies. The graph below shows inequality before and after tax and transfers. 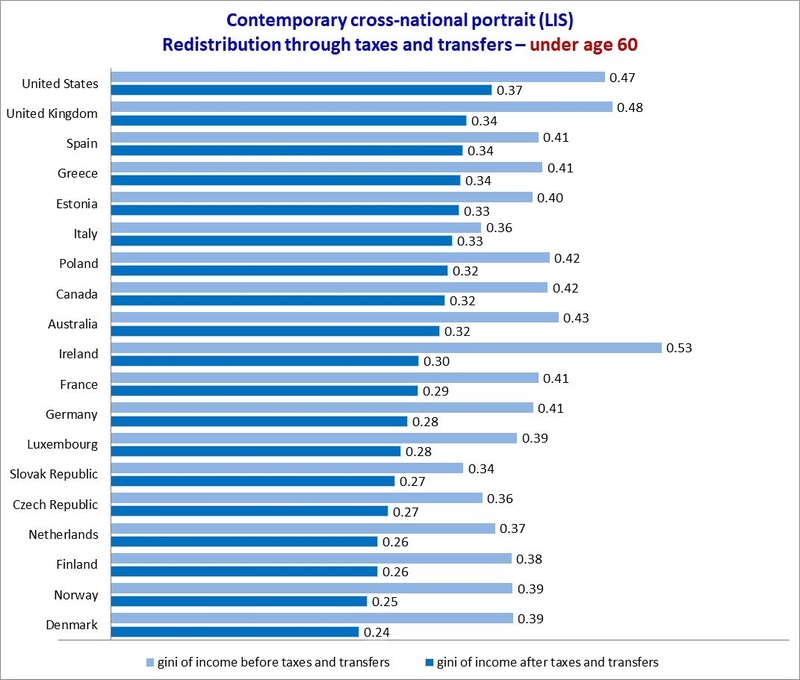 The US and the UK have the highest inequality before and, although their tax and transfers reduce that inequality considerably, they still remain at the top. The Scandinavian economies have high inequalities, but redistribute most, to end up with the lowest inequality ratios. But again, to change things fundamentally on inequality would require a change in very structure of the economy ie capitalism. Warren, a supporter of capitalism, does not want to do that. Instead she wants, like other leftists (Joe Stiglitz), just seek to end of the ‘rigging’ of the economy in favour of the rich and the big monopolies. The real way to find the finance needed to carry out the GND programme would be to deliver more revenues through faster economic growth. President Trump boasted that his administration would deliver 4% real GDP growth a year from his tax cuts and incentives to the stock market. Of course, this was an idle boast. At the end of 2018, US real GDP growth peaked at 3% in the last quarter and is now expected to slow fast (even if the economy avoids an outright recession). The long-term forecast for US economic growth made by the US Congressional Board Office is just 1.7% a year. That’s why Trump tax cuts for the rich have already created rising annual federal budget deficits – but something we need not worry about, according to him and to the MMTers. Let me be clear, Left Democrats and the supporters of MMT are rightly pushing for measures that really would help ‘the many’ in America. But, in my view, it will be an illusion to think the GND can be implemented, even in just economic terms, simply by following MMT and printing the dollars required. Yes, the state can print as much as it wants, but the value of each dollar in delivering productive assets is not in the control of the state where the capitalist mode of production dominates. 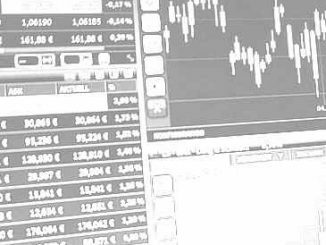 What happens when profits drop and a capitalist sector investment slump ensues? Growth and inflation still depends on the decisions of capital, not the state. If the former don’t invest (and they will require that it be profitable), then state spending will be insufficient. And even accepting that the MMT/Levy projections could be achieved, they would not deliver nearly as much as a doubling of the sustainable US growth rate would generate, which would be over $750bn a year. That would mean a tripling of investment growth. Over a decade, even a proportion of that would amply meet the financing requirements of the GND. But such a growth rate is impossible to achieve without a substantial change in the economic structure of the US economy. It is not going to happen when the 80% of all investment is done by the capitalist sector and depends on the profitability of capital. That tells me that the GND is only possible to achieve if 80% of the productive sectors of the economy are socialised and incorporated into federal, state and local plans for investment and production. That thorny question cannot and should not be ignored by MMTers.